Bi-folding doors are recognised as a must have feature in the design of new build homes, extensions and renovations. The addition of a bi fold door allows you to create a 90% clear opening which will transform your living space, making them a fantastic alternative to french doors and patio doors. Once ordinary, bi fold doors can help transform your room into an inviting living area that can offer the perfect setting for entertaining guests. 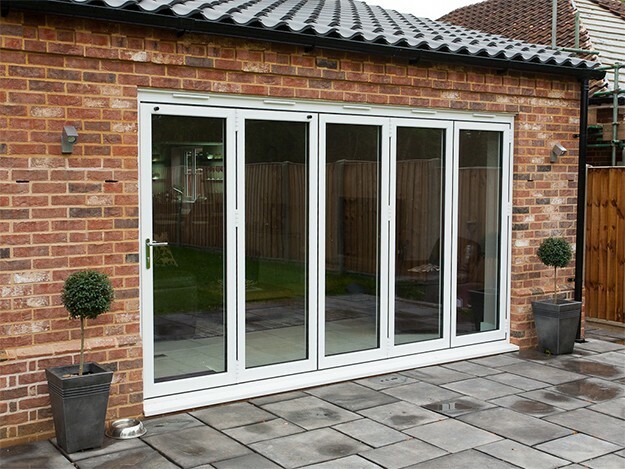 Bi fold doors are built using a folding mechanism which means they can be fully or partially opened or closed depending on the amount of space required. Once fully opened a featureless lounge becomes an open gateway to your garden and beyond. Bi fold doors have been developed in a range of materials with the aim of offering more flexibility and choice. uPVC is an affordable option that offers many of the same benefits of Aluminium and Timber. 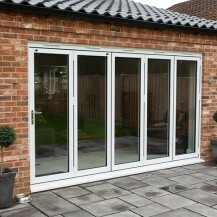 uPVC Bi fold doors are thermally efficient, extremely easy to maintain and perfect for modern properties. 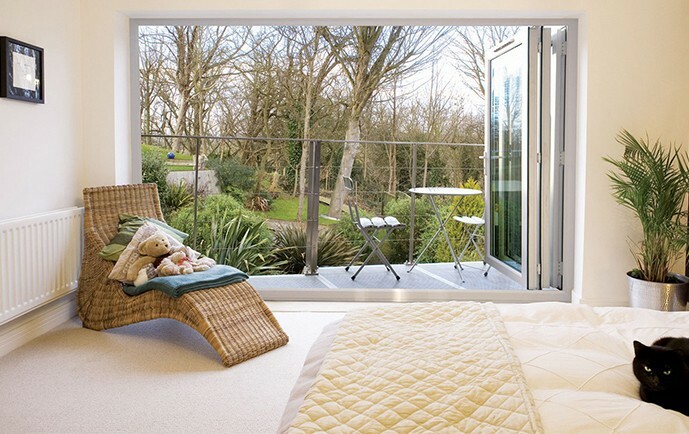 These Bi fold door systems are fully adjustable and available in choice of styles and finishes. Over the past 10 years, the popularity of Aluminium bi folding doors has rapidly grown. Aluminium is lightweight and strong , almost maintenance free and can be powder coasted in over 300 colours. 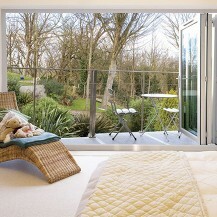 Aluminium Bi fold doors are ideal for new extensions and residential new builds. Available in range of softwoods or hardwoods, that are triple laminated and cross grained, thus preventing them from warping or twisting over time. Timber bi fold doors are designed and manufactured to perform in the most exposed locations for strength and longevity.